Canadian Process Servers, with offices across Canada. This year Good Friday we will have some staff in at head office in case you need to reach us, no set hours after all it is a holiday but if need be you might catch us! Monday we will be back as usual. Please make sure you are aware of court closures as well. Have a safe and hoppy Easter everyone! What many thought was an April Fools joke was actually true there are new fees for Ontario’s courts. Please make sure that you adjust your cheques when sending files to us for the courts. If you are short we have as usual paid the difference when we can. A link has also been put on this page for you. We have posted up a vacation notice for our process server in Kenora, Ontario. He will be away for a short 2 weeks, any non emergency files can still be sent and they will be completed upon his return. Please note the snowstorm is making it impossible for many of our servers across Ontario to safely drive, schools are closed as well in places, so there may be delays in getting files completed today and tomorrow. Safety of our people is always the most important thing to remember, not your files! The moon is out and sun about to rise as we leave Toronto Airport. 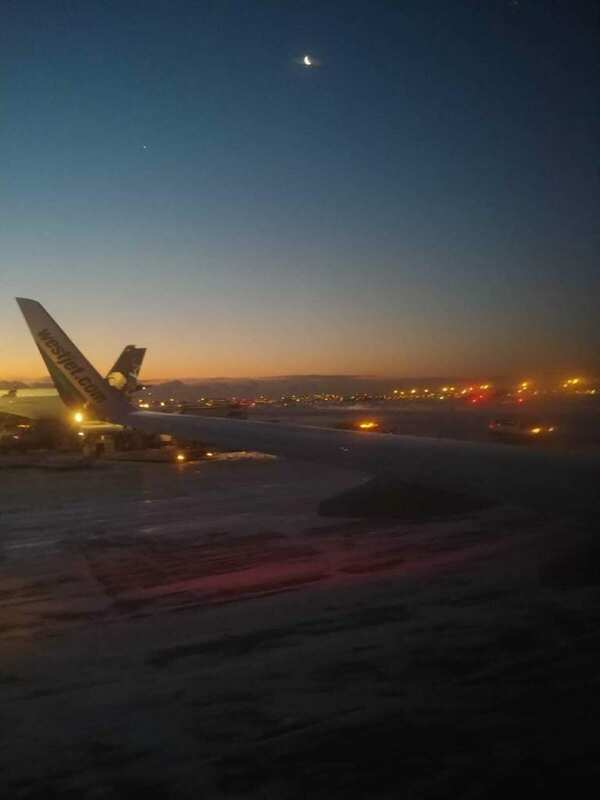 Well we are flying back out west to the prairies again, last week was Winnipeg now we are heading further north to Saskatoon, for the Canadian Bar Associations Mid-Winter Meeting being put on by the Saskatchewan branch. 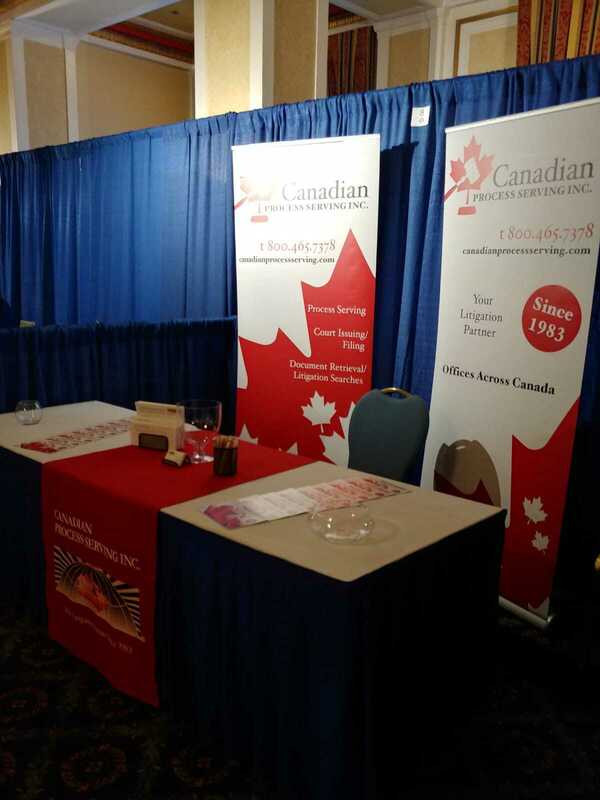 The meeting and trade show is being held at the Delta Bessborough in Saskatoon from January 31 – February 1, 2019. We look forward to meeting you please stop by our booth and say hello! Once again we are not just an exhibitor but also a proud partner sponsor of this event. 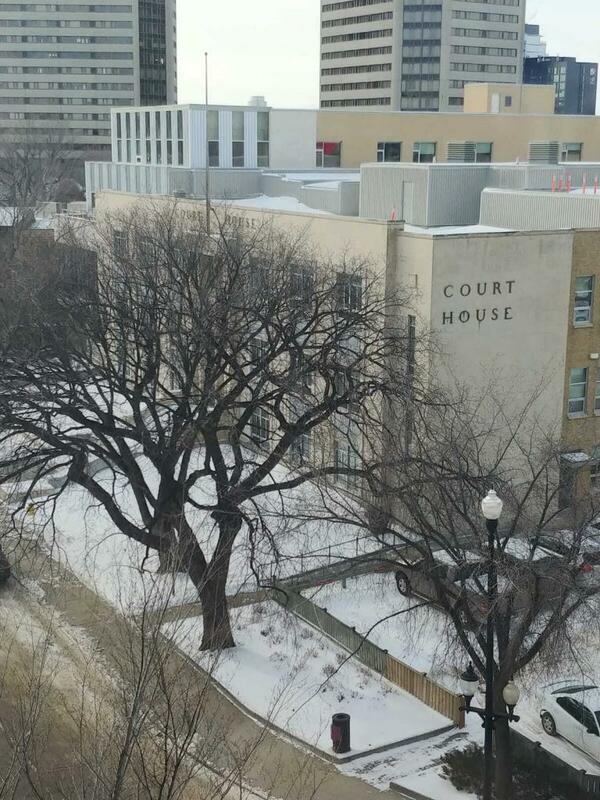 Our hotel room is overlooking the Saskatoon Court House, we feel right at home! 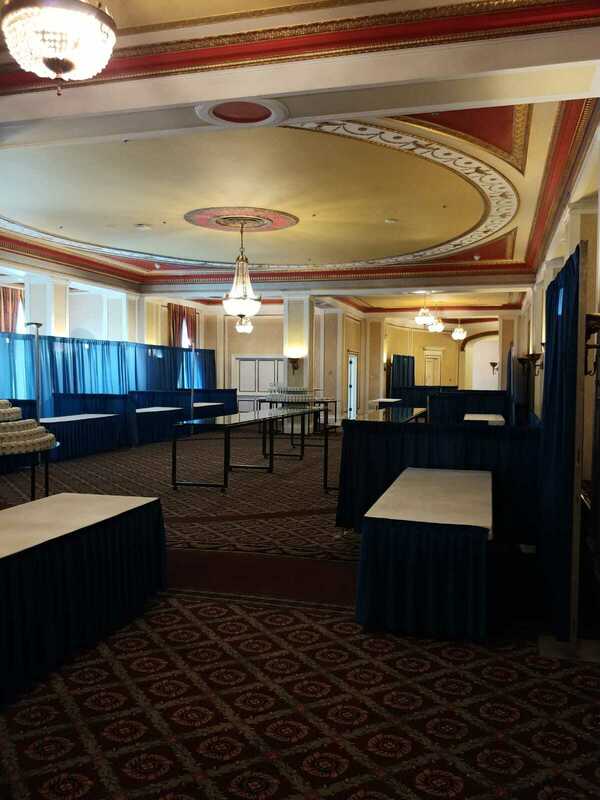 An empty exhibit hall is always a sad thing to see, tomorrow though it will be all set up and full of people! We are all set up and ready for our guests to arrive tomorrow.